Chiaconna for 2 sopranos, 6 viols (or other strings) and b.c. 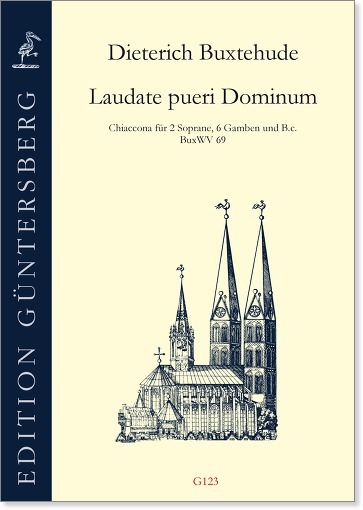 Buxtehude's solemn setting of the Psalm Laudate pueri Dominum is presented here for the first time in a practical edition. The viols which are explicitly named in the manuscripts should at best have the instrumentation DDAABB. 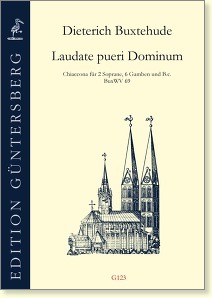 The clefs of our edition are such that the viols can also be replaced by two violins, two violas, and two cellos. Preface by Annette Otterstedt.